Happy New Year friends! I'm easing into 2017 slowly. The whole family is still at home this week and we have been hanging out in our pajamas, eating lots of yummy things, playing Yahtzee and charades and spinning vinyl records. We're not entirely lazy though - we have also been packing up Christmas stuff, donating old snowsuits and other excess stuff and planning a small renovation of our powder room. I'm grateful for all the social opportunities that the holidays brought to us, as well as the gifts I received, especially the diy fireplace mantel my husband made. 10. Tofu is one of my all-time favourite foods. And baby bok choy is one of my more recent faves. And peanut butter, well, that's just a classic. 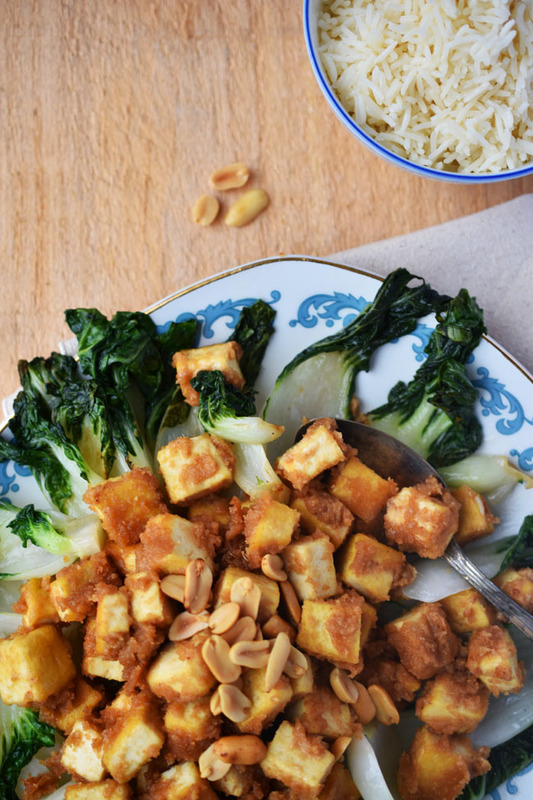 They are all combined in this Tofu in Peanut Sauce, which is vegan, gluten-free and quick to whip together for a weeknight meal. Look for organic or non-GMO tofu. 9. 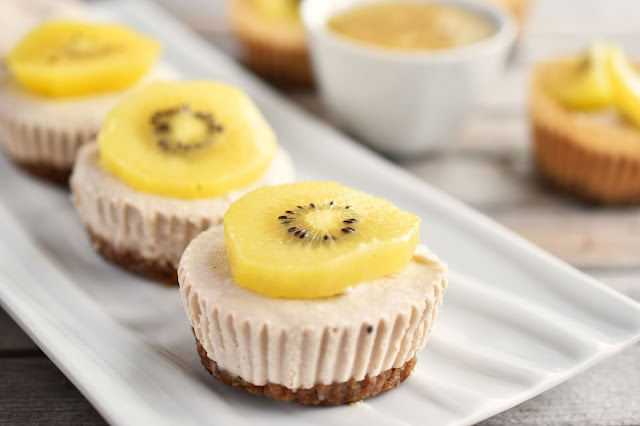 These Mini Kiwi Cheesecakes are raw, vegan and gluten-free! And they still taste really good - I promise. The filling calls for cashews and canned coconut creamer, which together provide the texture of creamy cheesecake. Store them in the freezer and grab one for dessert or a snack. 8. Nice cream is a little miracle in a bowl. It tastes and looks like ice cream, but it's made with frozen bananas. Cool, right? 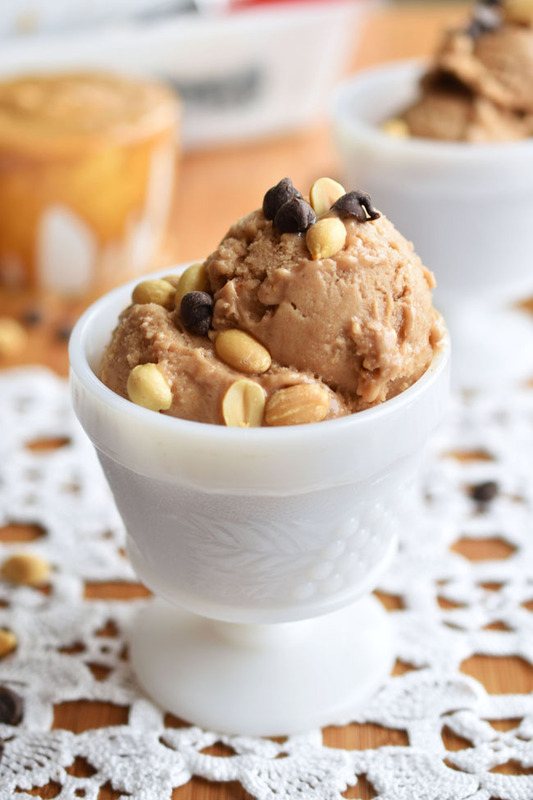 This Healthy Peanut Butter Chocolate Banana Nice Cream has more calories than your average nice cream, thanks to the peanut butter. But you get protein too, making it a filling and nutritious snack or breakfast. 7. 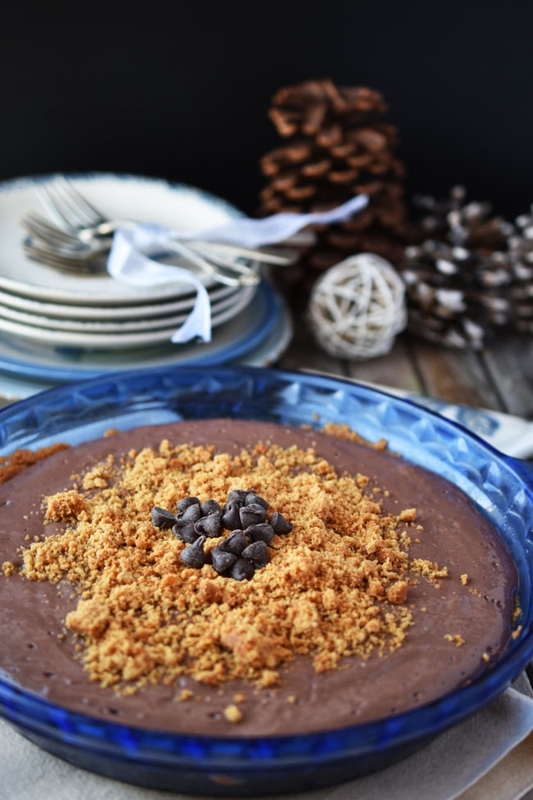 One of my personal favourite desserts, this Vegan Chocolate Pie with Cookie Crumbles is awesome straight out of the freezer. And it's gluten-free too! It has a delicious cookie crust and a smooth, creamy filling. 6. 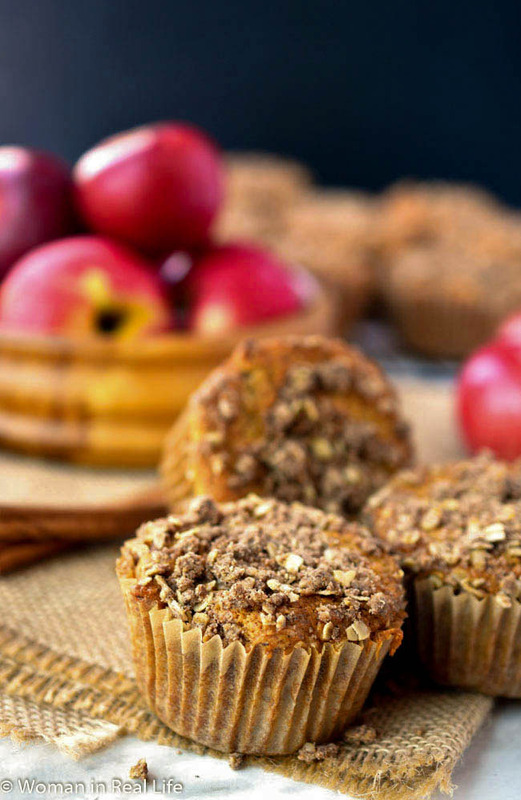 Oh gosh, this recipe for Apple Crumble Muffins reminds me of apple season! Nothing like heaps of fresh-picked apples in the kitchen. A cup of shredded apples goes into this recipe and the result is a moist and delicious warm baked muffin. 5. I love me some sushi! Don't you? 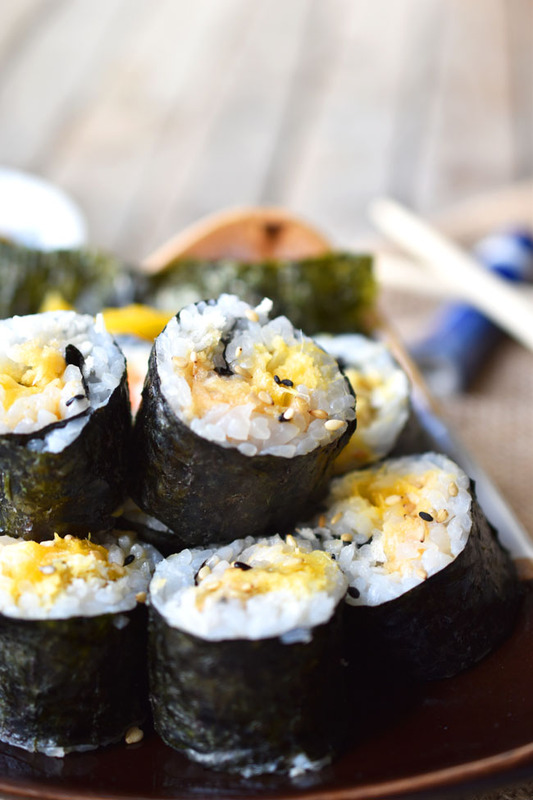 These Spicy Crunchy Mango Sushi Rolls are easy to make at home, perfect for those weeks when you've already dropped too much cash at your fave sushi spot. They are spicy with sriracha and crunchy with panko bread crumbs. 4. 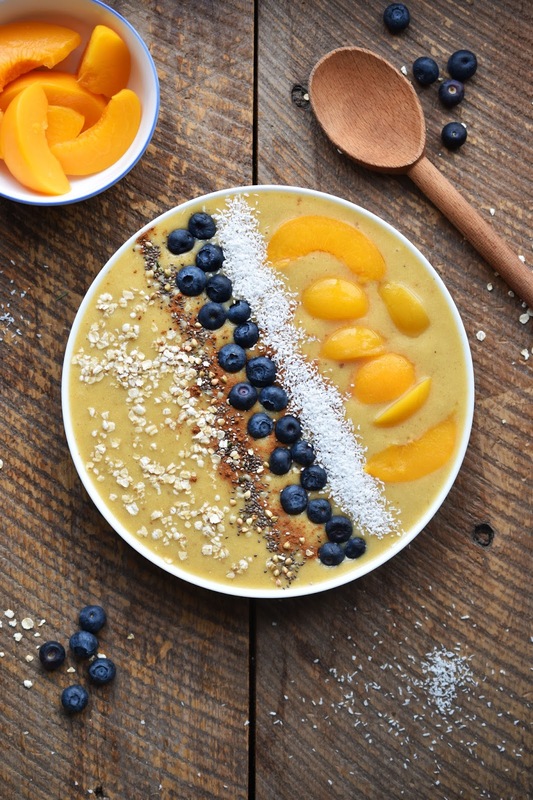 If you're getting all healthy this January, but you still want your food to actually taste good, this Peach Pie Smoothie Bowl is just the ticket! It's a mix of convenient canned peaches, a touch of decadent coconut cream, bananas, Medjool dates and toppings like coconut, blueberries, oats, chia cereal and cinnamon. And it's gluten-free! 3. 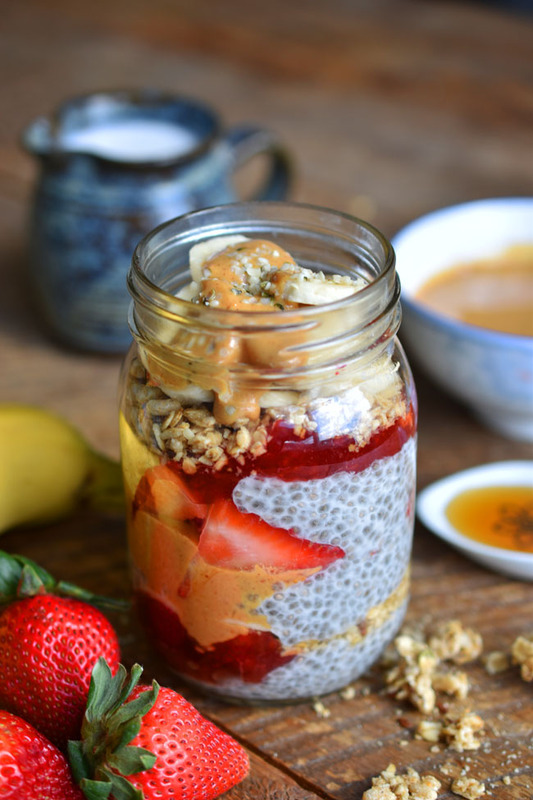 Get started on this Peanut Butter and Jam Chia Seed Breakfast Pudding the night before, and you'll have a rich, delicious, nutrient-dense breakfast to take on the go with you in the morning. 2. 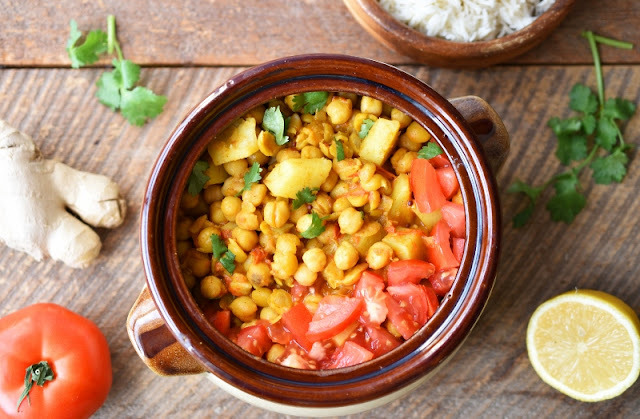 Next up, a hearty and healthy main course offering - Creamy Curried Chickpeas with Potatoes. Serve it over rice with a side salad for a complete, filling meal. 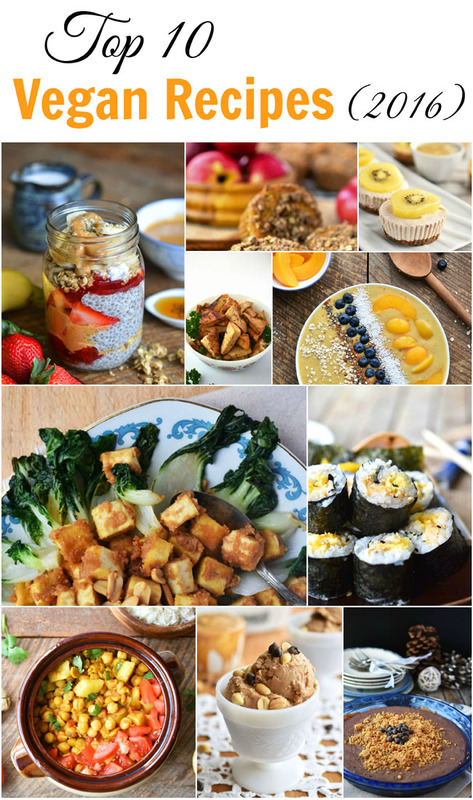 And the number one vegan recipe on the blog in 2016 was - ta da! 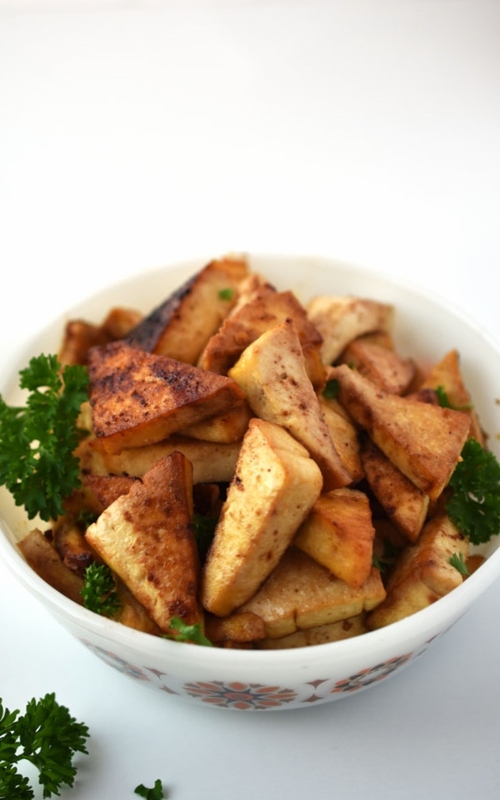 - Easy Weeknight Baked Tofu. It was a Pinterest favourite, which makes me all happy inside because I love to see people embrace tofu. I'm not sure how it became so disliked by so many, but I think tofu is the bee's knees. So versatile. We really depend on it - along with other healthy protein sources such as lentils, chickpeas and quinoa. I know some of you readers are already vegan or vegetarian. For those who aren't, I don't judge, but I do encourage you to add more meatless meals to your rotation - for your health, for the environment and for our wee animal friends. PETA offers this Free Vegan Starter Kit you might find interesting. Happy Veganuary! What meatless meals are in your repertoire? What are your fave vegan foods? that's a fantastic lot of recipes, I have to make those kiwi cheesecakes! Thank you! Yes give them a wee try!